Filipinos can now enjoy South Korea’s best as Bulgogi Brothers opened its first international franchise branch at the third level of Greenbelt 5, Makati City. Bulgogi Brothers was brought to the country by The Bistro Group of Restaurants. This exciting new concept is expected to follow the footsteps of the company\\\'s other casual dining concepts: Italianni’s, TGIFriday’s, Flapjacks, Fish & Co, Pig Out, Krazy Garlik and The Stock Market. With everything Korean enjoying tremendous popularity in the Philippines -think music, pop culture, fashion, beauty- food then should not be far behind. And Bulgogi Brothers is here to satisfy the craving for an authentic Korean experience starting with its dishes, to the sleek, contemporary Korean ambiance and décor plus Korean music and tv shows playing in the background. 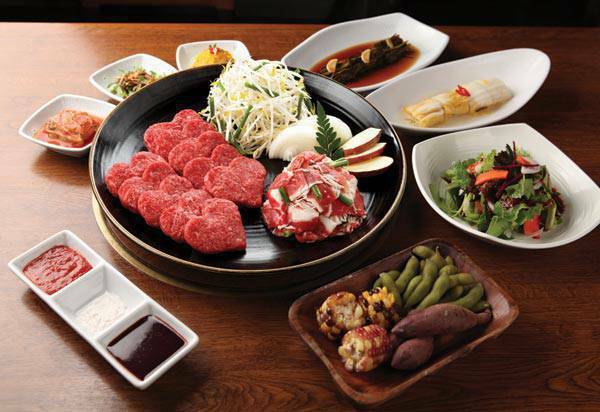 House specials include Unyang Style, a Bulgogi patty considered a famous royal cuisine and Un-yang and Gwang-yang Style, assorted Bulgogi with special seasonings. Lisa Ronquillo, Bistro Group director for marketing says that with Koreans being the top tourists in the country; they saw the potential of Korean food for Filipinos. She points out that up until the opening of Bulgogi Brothers, most Korean restaurants in the city were family-run and were not based in malls. Good business rapport also played a role. "We knew the owners of Bulgogi Brothers from way back, because of TGIF and Outback Steakhouse," she says adding that they also felt that the timing was right due to the country\\\'s strong economy. Bulgogi Brothers opened its first branch in Seoul in 2006 and now has 28 branches in South Korea. After the Philippines, it will open another overseas branch in Toronto, Canada.